Working with your specifications or design/build, Wood Design provides product for the most demanding applications; schools, hospitals, clinics, offices, churches and universities. 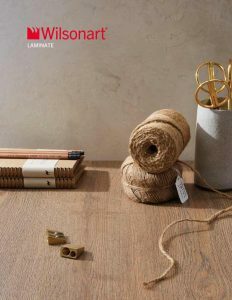 As a member of Architectural Woodwork Institute (AWI), we work to a guaranteed level of quality, using the most current technology to meet the most demanding schedule. With nearly 40 years of experience, we have the ability to create the unique look that you want. 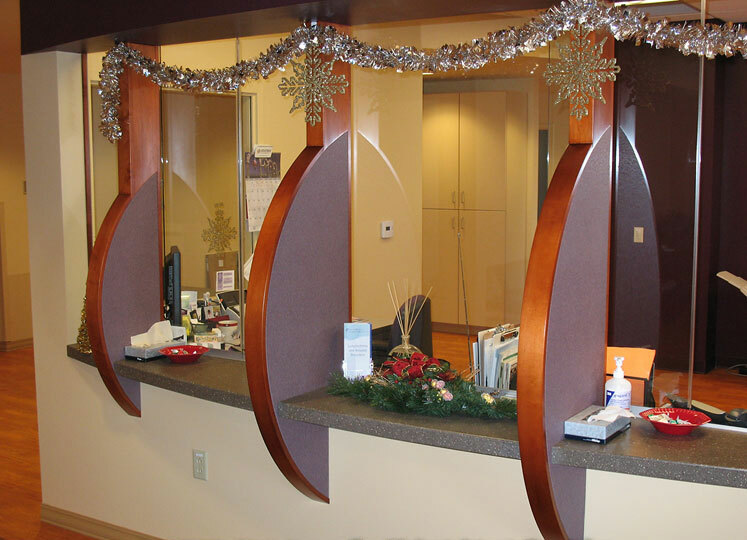 Whether you are looking for a unique reception desk or an oval shaped nurse station wrapped in solid surface. We can do it! 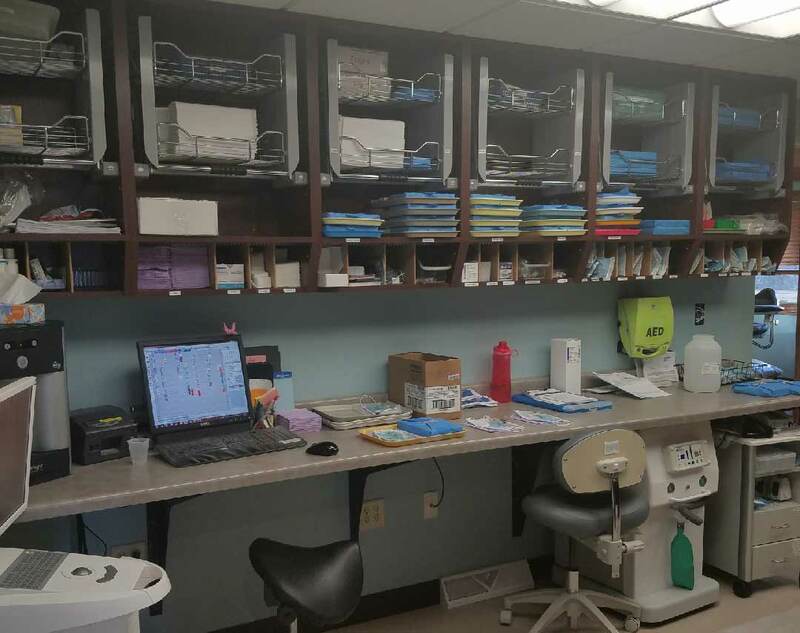 From elaborate reception desks and teller lines to hospital, dental, and office casework to library end panels and canopy tops, we can do it all. 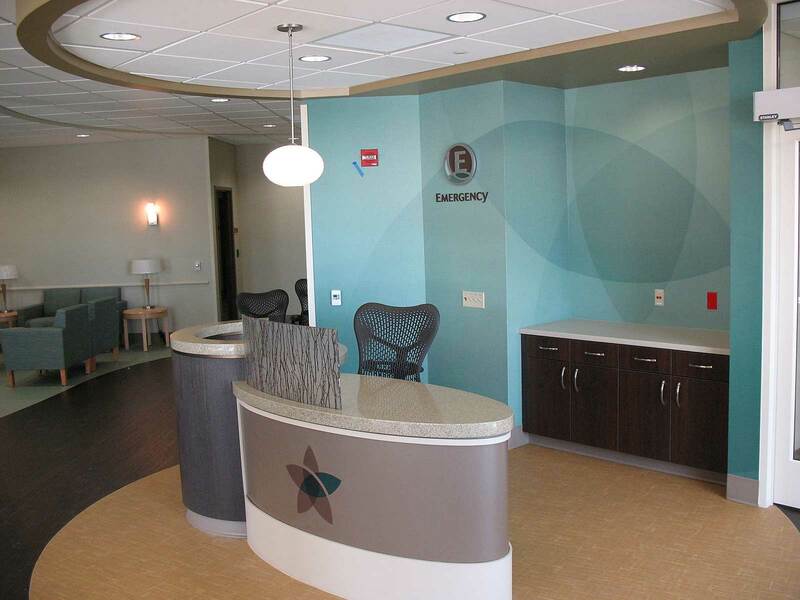 Whether you are looking for simple laminate casework and countertops in a break room or a unique reception desk to fit your space, we can design, engineer, and build your vision. 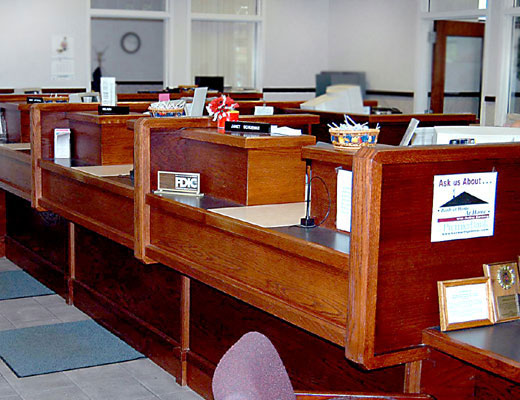 We have done many teller lines and check writing stations at area banks. From traditional wood teller lines with ornate moldings and purse rails all the way to a curved laminate teller pod that a quartz top needed to sit perfectly on. We also take the extra steps involved in making sure that all of your equipment fits where it needs to. The interior of a library needs to be functional and serve the needs of a diverse community, while maintaining a pleasing visual aesthetic. 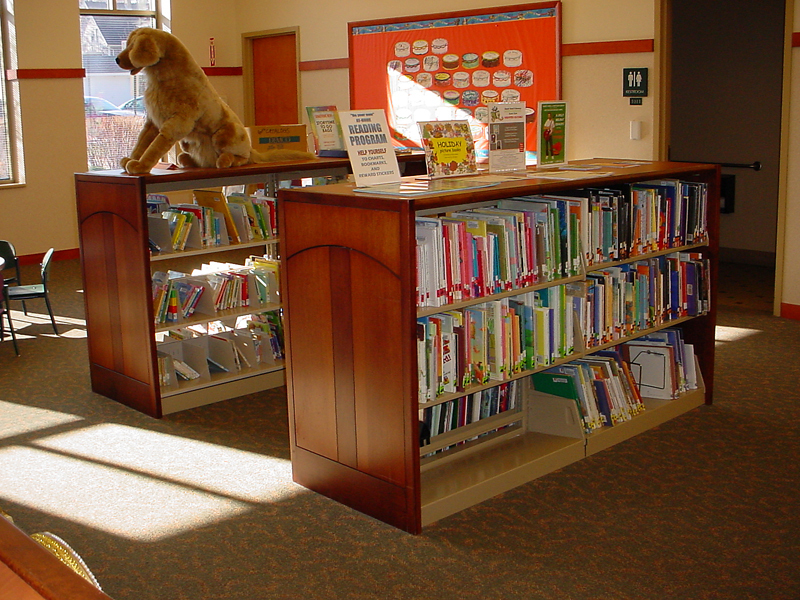 Wood Design Inc. has worked on several library interiors and fixtures, keeping in mind the needs of the community while maintaining beautiful craftsmanship. People are always surprised to hear all of the work that we have done in southern Wisconsin at different hospitals and dental offices. Whether simple laminate casework with pulldown shelving or an elaborately shaped reception desk using materials like laminate, wood, solid surface, and metal, we have experienced and love creating these works of art. The reception desk is the first thing customers see when they walk in the door and it can leave a lasting impression. We have created many of these desks with many shapes and sizes, and materials and colors. Whether you are looking for something unique or simple, large or small, we have you covered. Every project begins with a meeting with a designer who will explore your likes and needs while being mindful of your budget. 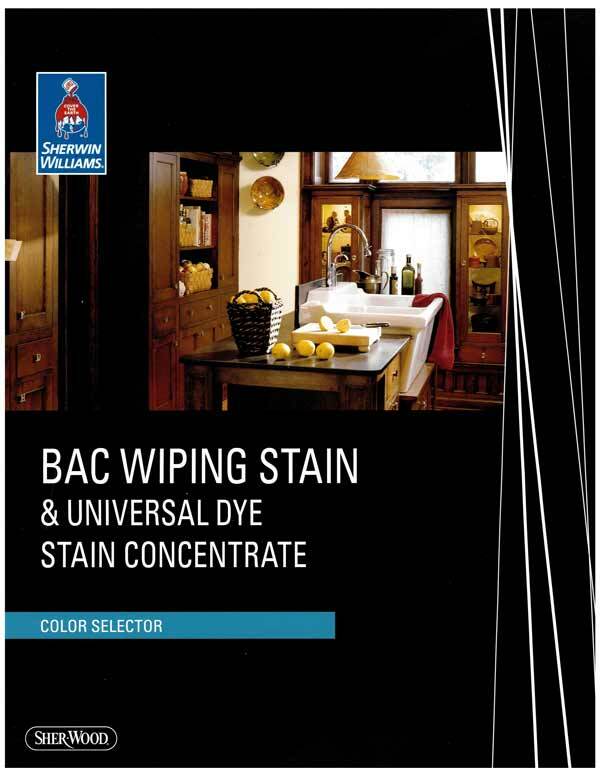 Your cabinetry and countertops are custom made to fit your exact specifications.